James Harry Hofer, born Apr 13 1886 in Ohio. Louis Hofer, Printer; location 1: southwest Corner George and Plum; location 2: southwest Corner Rawiston and Spring Grove Avenue. Hofer, Louis, head-of-household, age 44, born July 1855 in Ohio; parents born in Germany; married 15 years; occupation: painter; owned home (mortgaged). Hofer, Agnes, wife, age 33, born Sept 1866 in Ohio; parents born in Ohio; married 15 years; 2 children, 2 living; occupation: nurse. Hofer, James, son, age 14, born Apr 1886 in Ohio; parents born in Ohio; attended school 9 months. 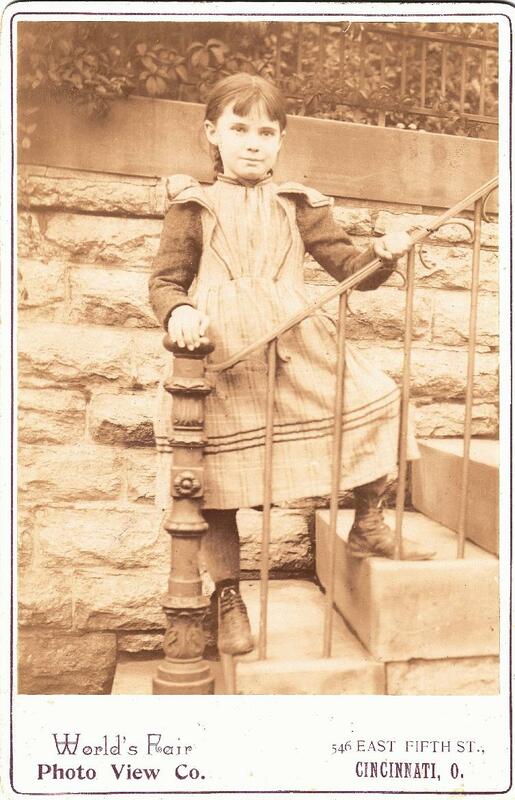 Hofer, Viola, daughter, age 12, born Nov 1887 in Ohio; parents born in Ohio; attended school 9 months. Contribution from Anne Davison (). 1870 census, 9th Ward, Cincinnati, Hamilton County, Ohio; roll M593-1212, page 420, line #28, dwelling #157, family #775. 1880 census, Cincinnati, Hamilton County, Ohio; roll T9-1024, ED 116, page 211D, line #16, dwelling #106, family #194. 1900 census, 24th Ward, Cincinnati, Hamilton County, Ohio; roll T623-1279, ED 199, page 9A, line #43, dwelling #149, family #210. Posting Sep 30 2003 by Anne Davison () to CIRCUS-FOLK-L.
1880 LDS census index, 2nd Ward, Precinct B, Cincinnati, Hamilton County, Ohio; roll T9-1024, page 200D. RootsWeb WorldConnect data by David Coulon Burns (). 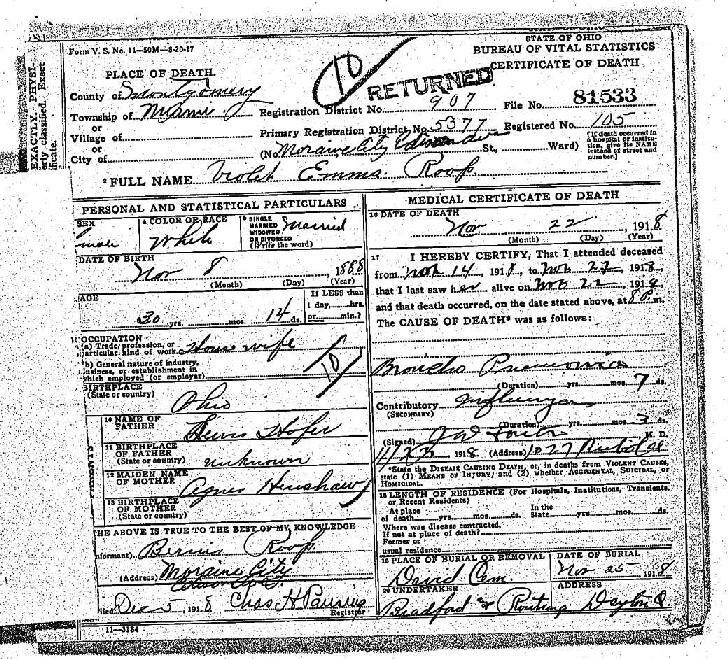 Ohio Deaths, 1908-1932, 1938-1944, and 1958-2002; http://www.ancestry.com. "Public Member Photos" by "balletdancer47"; http://www.ancestry.com.